Secure a refined ride with advanced driver-assist features when you step into the latest Honda Accord sedan, available now. With three body styles available and a range of fuel-efficient and sporty powertrains, the Honda Civic is the compact car to beat, so test drive one today. Discover Honda's top-selling SUV with a tour and test drive of the new Honda CR-V, sporting a spacious and refined cabin with the latest tech features. Enjoy seating for up to eight in three roomy rows in your family's new Honda Odyssey minivan. With advanced cabin technologies, what's not to love about this Honda? Honda of Superstition Springs welcomes drivers throughout the Phoenix and Tempe, Arizona areas and beyond to shop and visit our full-service Honda dealership. The team at our new and used car dealership in Mesa, AZ is eager to find solutions to your automotive needs, so don't hesitate to contact us for research, finance or service assistance today. Our conveniently located Honda dealership boasts extended operating hours so that you can always find the time to drop by, and we've made many of our services available right here on our website! 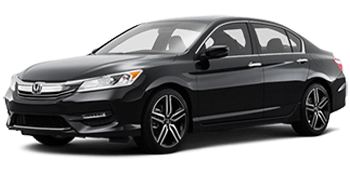 Take a few minutes to browse our online resources, including our array of new and pre-owned Honda automobiles for sale, and be sure to give us a call with any and all questions. Our staff of auto sales, financing, parts and service professionals looks forward to providing you with the information you need to enhance your driving experience around Arizona and beyond! 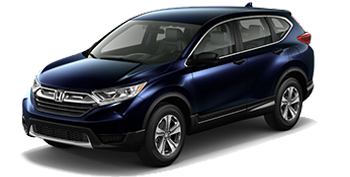 The sales associates here at Honda of Superstition Springs invite you to visit us for a test drive of a new Honda CR-V or Accord today! 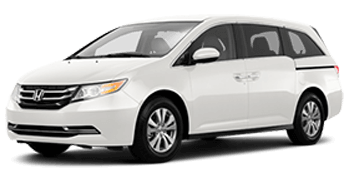 Our dealership has a fully stocked inventory of brand new models to explore, so whether you're looking for a fully-loaded Honda Civic or a spacious new Odyssey minivan, we have a stylish model in stock for you in a variety of trims, colors and configurations! 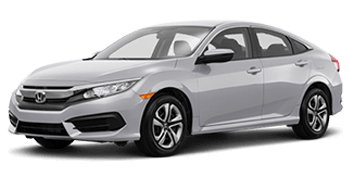 Learn about how you can trade in your current vehicle to upgrade to one of our sleek new Honda automobiles for sale now; remember to contact our team now or make use of our online resources! Get the auto financing that you need to drive home in a new Honda Civic or Pilot when you contact our finance department today. We'll review the steps involved in the loan application process and can even review your bad credit financing options if you're working with a less than perfect credit score. Don't let past financial mishaps to dictate your purchase of a new or pre-owned Honda; send over a completed credit application via our secure Honda website now! Our in-house finance department staff is here for you with a range of auto loan solutions. Bring your new or used car over for an oil change or tire inspection now, where the factory-trained and certified technicians in our service department eagerly await your arrival. Our services are competitively priced, and we have a number of useful parts and service specials to take advantage of, which makes staying on top of the manufacturer's recommended maintenance schedule a breeze. Contact our service center team to get your appointment booked or use our online form to schedule your Honda service today! Our Honda dealership near Phoenix, AZ has impressive pre-owned vehicles to explore as well, so if you're in the market for a quality used car, SUV, minivan or pickup truck that provides for both your comfort and safety while on the road, shop and visit Honda of Superstition Springs now! Explore our collection of Honda Certified Pre-Owned (CPO) models for a nearly-new version of your favorite Honda model, complete with an updated factory warranty! We'll go over the multi-point inspection process of your used vehicle of choice has endured and will get you set up with a test drive so that you can experience the refined cabins of a pre-owned Honda for yourself. Why maintain or upgrade your Honda with just any components when you can choose genuine Honda parts? At Honda of Superstition Springs, our dedicated parts department carries the factory-replacement parts and authentic Honda accessories for every Honda model, including yours! Contact our Honda parts specialists today or send us a parts request online now so that we can start compiling the correct parts for your at-home auto maintenance or vehicle upgrade. Remember that our Honda service center is always available should you seek professional parts installation. Our new and used Honda dealership in Mesa, AZ proudly serves drivers within our local community as well as the nearby areas of Phoenix and Tempe, so don't hesitate to reach out to our team now! We welcome you to explore our dealership services online before you visit us. Our dealership team looks forward to learning more about your automotive needs and getting you behind the wheel of a stylish new or pre-owned Honda soon. Start shopping on our website now, where you can discover the value of your trade-in vehicle, schedule a test drive and so much more!